Slower speeds mean better racing? That's what Bruton Smith says. And today's 900-horsepower engines must be seen as way overkill for these stockers....which did quite well for years with only about 650 horsepower under the hood. Still it was surprising that NASCAR has now laid a 'low horsepower' option on the testing table in its 2013 project. 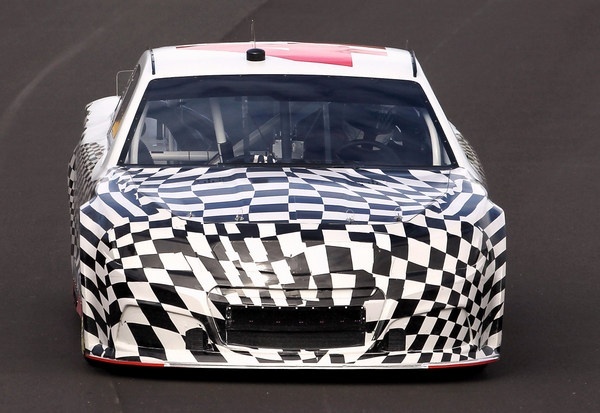 This week's test at Charlotte Motor Speedway included runs with the so-called 'tapered spacer,' a type of engine restrictor plate currently used in NASCAR's Trucks. It cut about 100 horsepower. Drivers say that cut corner entry speeds by 13 mph at Charlotte, but raised mid-corner speeds by 5 mph. Some drivers suggest that's a good thing, making Cup cornering more similar to Nationwide cornering. The Goodyears each weekend are the same for both series. "And I don't see the Nationwide cars having that many tire issues," one top driver says. NASCAR's 2013 testing, which began in earnest a month ago, has been, well, almost 'shotgun' testing, with decidedly different aerodynamic and chassis designs offered to the testing drivers each week. 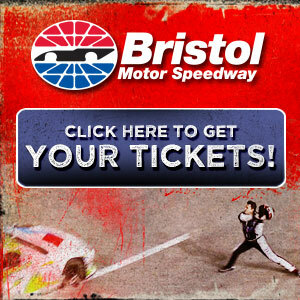 The next 2013 test, just added by NASCAR, will be December 11th and 12th. 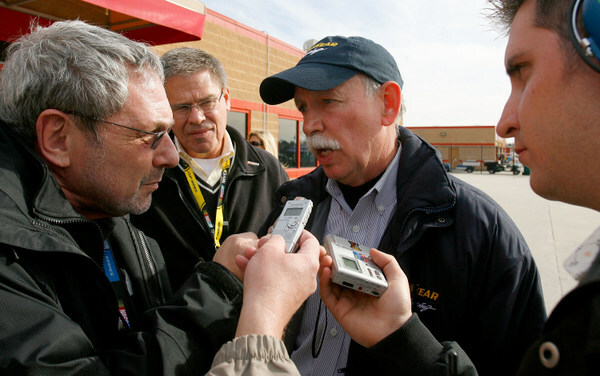 Only days ago NASCAR had denied any plans to add another 2013 test. The project has been like a jigsaw puzzle, with new pieces each week to try to fit into some picture...a picture that even now, just days until the end of the 2012 season, is still largely unknown. During the Charlotte test a few days ago, crews were experimenting with various lightweight rear-end pieces and other options, not always with much success. In fact Kurt Busch's rear-end threw an axle right out of the car and onto the track. NASCAR is working on new rear-end geometry rules, and that's a crucial part of the chassis. Originally it was hoped that the 2013s could run with essentially the 2012 chassis, just with the new body stylings. Teams now say that's a no-go, that they'll have to build new cars. How many new cars for 2013? "That's 50 cars at least." It's enough to make team owners anxious, crew chiefs sweat, and tire builders fret. Time is running out, and once the new season kicks off, there won't be any breaks for more testing. NASCAR has added two more pre-season tests for December, to help teams figure things out. Just what is really going on at these tests is not that clear. NASCAR has kept most of it under wraps; it wants to avoid the controversies that surrounded the introduction of the car-of-tomorrow five years ago. With significant technological debate about so many aspects of the 2013s, NASCAR executives apparently want to avoid any public debate. Of course that may risk the 2013s, already far behind schedule, debuting as a big flop. So getting any real sense of where this 2013 is at the moment is difficult. Rather than let drivers and teams debate the various technical issues openly, NASCAR appears to want to offer a united front about how great everything is going. Well, Goodyear's Stu Grant, as diplomatic as ever, is a very good one, since he's got a lot riding on this project. "What I can tell you is we've had a number of tests of the 2013 car, testing tires and testing car configurations, Kansas, Texas, Phoenix, Charlotte. And at this point everyone is 'gathering data.'" What that means is that NASCAR still has no specs for the 2013s to give the teams and the car makers. The good news is that NASCAR officials are listening, and listening very intently, to what drivers and crew chiefs are saying about the 2013s at these tests. Of course finding unanimity among the teams is probably a no-go, but most teams say they are liking the general approach NASCAR is taking...even though the time frame until 2013 is really getting squeezed. "All those different things. And we'll just have to wait till NASCAR makes a decision about what the rules package is going to be. "We've got a lot of data. We'll just have to wait and see where they end up." Goodyear has just started the production run of Daytona 500 tires. Next up on the production lines -- NASCAR 2013 tires for Phoenix and Las Vegas. "So pretty soon we'll have to know what the rules package is going to be, because we have start looking past Daytona," Grant says. Now, curiously, there seems to be some question about who will actually make the decisions. Certainly NASCAR will ultimately set the rules, but it appears officials are giving great leeway to drivers and crews and car makers in deciding key issues. NASCAR has been debating taking 100 to 160 pounds off the current 3400-pound Cup cars. But even that spec appears still up in the air. Right-side weight...left-side weight? "It's going to be a challenge to get that much weight off the right-side," Labbe says. And expensive. Part of the goal, of course, is to keep the center of gravity as low as possible, and teams have been working in that area by using expensive light-weight parts. Expect a lot more carbon-fiber parts. And logically that would work to the advantage of the best-funded teams. NASCAR is also debating at least three aero packages, a low-downforce model, a high-downforce model, and something in-between. NASCAR's initial plans were to go with a low-downforce model. However it appears the abortive Kansas test three weeks ago led to some dramatic reconsiderations. "I think NASCAR is trying to listen to everybody," Grant says. "They have their own ideas about what the rules package should be, but they are getting a lot of input from teams. I think they're trying to listen to everybody and make the best call they can. "Where they'll end up with, I'm not sure. But they're getting a lot of input from crew chiefs and drivers. And that's a good process." This 2013 development project, Labbe says, "has definitely gotten better. From where we started at Texas with the 2013s (Oct. 8-9), to where we ended at Charlotte (this week), there's a huge difference. "You have to give NASCAR a lot of credit, because they listened...which is the right thing to do. In the past sometimes it's been us versus them, and now it's all one big group trying to make it better. Which is good. "It's very definitely come a long way." But so late in the season? "It doesn't matter," Labbe says. "I'd rather be late and have a better package than be early and have a screwed up package." Some of the details are still up for debate, apparently. Taking 100 pounds off the cars, or 160 pounds? That's still not clear. Grant says there have been different numbers offered by NASCAR for consideration. "Hopefully they can get is all worked out, so Goodyear can go to work and build some tires," Labbe says. What about taking 100 horsepower or so out of these 900-horsepower engines? Robert Yates began pushing NASCAR 20 years ago to take horsepower out of these engines, but to no avail. Suddenly in the past few days, at the Charlotte Motor Speedway test, NASCAR did take some horsepower out of the engines -- by using, essentially, a carburetor restrictor plate. Perhaps Sunday's Texas 500 -- which featured more than three hours of boring follow the leader racing, playing out in front of less than packed grandstands, and drawing less than impressive TV ratings -- was a spark. Too many Cup races this season have been flat boring. Fuel mileage runs....no passing...few cautions....little action....lackluster TV ratings...and small crowds. Bruton Smith, who owns Texas Motor Speedway, and more than half a dozen more major NASCAR tracks, has been preaching for NASCAR to slow speeds: slower speeds will make for better racing, he says. Perhaps NASCAR's move in the Charlotte test a few days ago was to see if that is in fact the way it would work. Or maybe the move was simply to put it out there, to show it was under consideration, but with no serious thought of really taking horsepower away at all. Cutting horsepower? "Personally I don't see us going to that in the Cup series," Labbe says. "Maybe I'm wrong, but I just don't think that's going to happen on our side of the garage. "That's what defines the Nationwide series. And I don't think they want the Cup series to go that way. It's just a guess. "But I think it's better to manage the horsepower you have." Related to the Texas track, and that runaway race, and the tires there -- while the new asphalt on many NASCAR tracks is so smooth there is little tire fall-off in speed, the Texas track wears out tires almost perfectly, falling off in speed about a second and a half on each 80-mile run. Such fall-off, crew chiefs and drivers like, because it adds a tactical element to their race day game plan - for example, would Brad Keselowski's two-tire stop late in the race, to gain track position, get trumped by Jimmie Johnson's four-tire stop? That, Grant emphasized, is not a function of the tire chosen but of the track surface itself. "With these smooth surfaces tracks are repaving with, it doesn't generate a lot of tire wear, or fall off," Grant says. "We can't help that. It is what it is." There is a legitimate debate about what less horsepower would do. 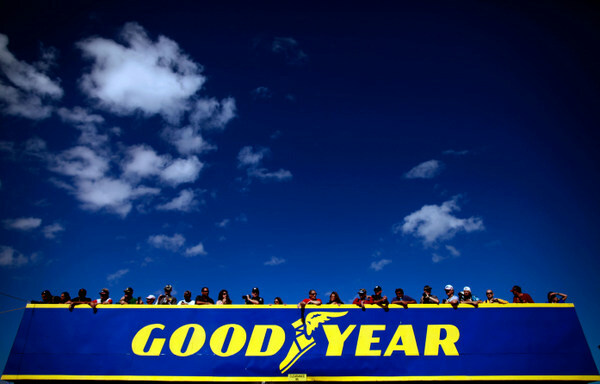 One argument is for NASCAR to do what it can in order to let Goodyear make softer tires, with the idea that softer tires would make for better racing. Nationwide cars go slower into the corners than Cup cars, but have a faster speed in the middle of the corner. "What happens is the Nationwide car is pretty hard on tires," Grant says. "Because they run through a corner harder than a Cup car does. Nationwide drivers are in the throttle more in the corner than Cup drivers. "So, in terms of us being able to make a softer tire, that may not be the result of horsepower reduction." The actual time in the corner, Grant says, is the same for a Nationwide driver as for a Cup driver. "The Cup guy will get into the corner a lot faster, because of his straightaway speed and horsepower. But the times through the corner are pretty similar." The Nationwide car "can be" harder on a tire in the middle of the corner than a Cup car, Grant says. So is there a solution here? "We can make a tire for whatever the configuration (of the car) is," Grant says. "So we're just going to wait and see what that solution is...for NASCAR and the teams and the garage area. "And we'll provide the best tire we can." What about the idea of 'layering' a race tire, with a softer outer layer, which wears down into a harder layer? "We have experimented with that type of a tire construction," Grant says. "It doesn't really work that well. "The result is not what you expect. "We have not had a lot of success with that type of technology. "We provide the most grip we possibly can, without sacrificing safety and durability. We do that now, and we'll do that in the future." Submitted by Henry Wheeler on Sun 11/11/2012 - 05:50. When did the childress "coil binding" come into play? 2000? The drivers from the 1990's seem lost driving these cars. I don't count Tony Stewart. With the current management and Labbe running the show I see no hope of having better racing. Everyone has the same "store bot" stuff. Same chassis, same power, same aero equals high speed parade broken up by screw ups in the pits. Just like Mr. Bruton says: We are in the entertainment business. Just a crazy out of this world thought: Have they ever tried restricting on the output side? Put a log exhaust manifold on the motor and see if the power drops, without affecting throttle response. Submitted by Russ Edwards on Sun 11/11/2012 - 16:53. In an era where most thoughtful people realize that cost containment is necessary both Nascar and the teams seem oblivious. Other than spending a lot of the sponsors money, than complaining about how hard it is to find people willing to hand it over will this accomplish anything? While willing to be proven wrong my guess is when the smoke clears it will be more of the same.